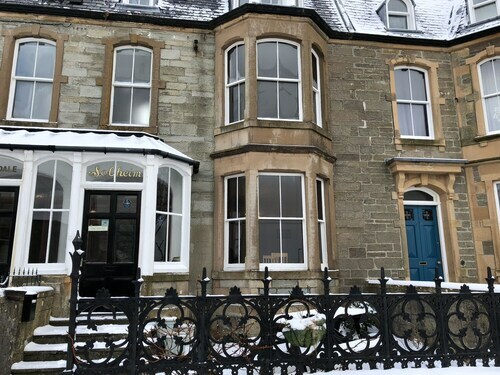 Located in the heart of Lerwick, this hotel is within a 15-minute walk of Lerwick Town Hall, Shetland Museum and Fort Charlotte. Bressay Lighthouse and Scalloway Castle are also within 6 miles (10 km). Situated in Lerwick, this hotel is within a 10-minute walk of Lerwick Town Hall, Shetland Museum and Fort Charlotte. Bressay Lighthouse and Scalloway Castle are also within 6 miles (10 km). 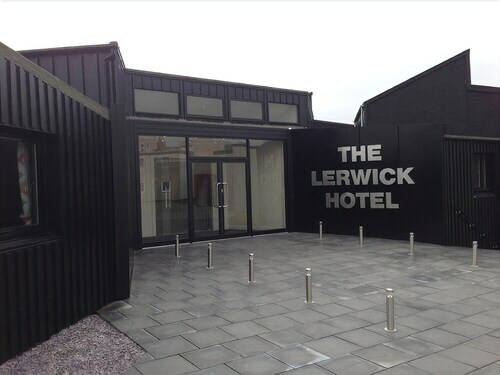 Situated in Lerwick, this hotel is within 1 mile (2 km) of Lerwick Town Hall and Fort Charlotte. Shetland Museum is 1.3 mi (2.1 km) away. Situated in Hillswick, this hotel is 6.5 mi (10.5 km) from Esha Ness Cliffs and 6.8 mi (10.9 km) from Esha Ness Lighthouse. Sullom Voe Oil Terminal and Lunna Kirk are also within 25 miles (40 km). Now that you've made your decision to visit Shetland Islands, ebookers can assist you in finding a spot to stay by offering an easy way to filter through hotels. Our website speedily pulls up the best hotels in the area so there'll be a range of preferences to pick between. Narrowing down your search is easy using the various tools our site offers. One convenient part of our website is our map, which allows you an easy way to locate a specific area for your time in Shetland Islands. You can change the filters and sort by area and popular location to identify a hotel near to the region's top sights. If you're hunting for a place to stay at a bargain price, you can filter by price per night to pick a cheaper hotel that matches your budget. If you'd like services and facilities such as a pet-friendly room or a pool, you can decide to tailor your search to get everything you need to make for the perfect visit to Shetland Islands. We'll help you arrange how you'll get to your destination now that you've identified a Shetland Islands hotel. We offer many different options for flights and hired cars, giving you a wide variety of choices. Sort through flights by total number of stops, airline, or time of departure to find one that suits you. You'll probably start to look into ways to easily navigate the city after you arrive in Shetland Islands. You might want to consider planning to have a car waiting for you when you arrive by reviewing our car hire deals. You may want to scout the area for interesting things to see and do while on holiday in Shetland Islands. Arranging to book a hired car can make adventuring out easy so you can enjoy all that Shetland Islands offers. We want to help you discover new ways to explore Shetland Islands, and you can find everything you're looking for on our site. Now that you've filtered your searches to find your ideal hotel, you can see what's in the area and schedule your outings with us. If you're interested in dinner cruises or museum tours, you can peruse our site for Things to Do. Finding activities that appeal to the whole group has never been simpler, all you need to do is sort the results based on your interests. We also give you the option to see guest ratings, which can help you determine the activities that might be best for you. When you book through us, you can earn rewards and travel upgrades in order to make the most of your budget. Now the only thing left to do is to pack your suitcase and get on the road. The hotel staff made our trip to Shetland. Both of us were sick coming off the ferry and they made us tea and checked in on us. As we were checking out we had car trouble and they were nothing short of miracle workers in helping us with a solution. Amazing amazing staff!!! Perussiisti hotelli, hieman vanhahko ja kulunut sisustus. Huoneen kylppäri onneksi jo uusittu. Ohuet seinät huoneissa, joten naapuriin kuuluu oikein hyvin. Käytävillä ummehtunut tuoksu johtui todennäköisesti likaisesta kokolattiamatosta. Henkilökunta erittäin ystävällinen ja ruoka oikein hyvää. 4.0 Gute Lage für Stadtbummel und Aussichtspunkt. Während Up Helly Aa Festival ideal als Ausgangspunkt. Frühstück ganz in Ordnung von der Qualität her. Zum Übernachten sehr zu empfehlen. 3.0 Hotel could do with some cosmetic updating. Quite gloomy inside. Mattress very spongy. Below average breakfast quality of ingredients. Redicolous night time entry procedure. After 11pm press buzzer & pray that the porter responds! Clearly does an excellent trade & merits relitively high room rate due its prime location in Lerwick, where there is a lack of competition.